Inspired by natural forms, explore the creative potential of knitting, using simple techniques and unconventional materials. 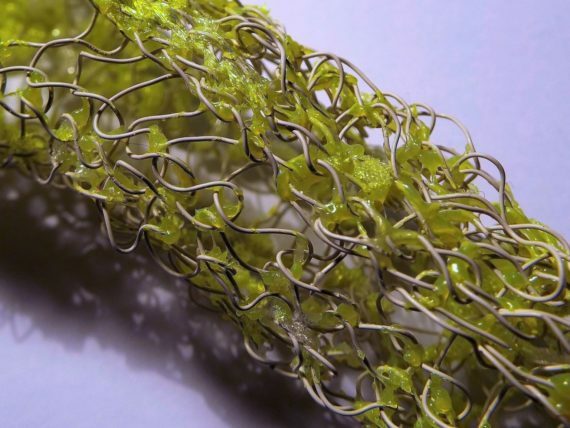 There will be a demonstration of basic knitting techniques, with discussions on creating decayed surfaces using a heat tool, and visceral effects with latex and acrylic gels. Various samples and sketchbooks will be on display to encourage further exploration after the session. All levels of ability are welcome. The workshop is aimed at anyone with an interest in textiles and mixed media sculpture, wishing to explore the artistic potential of knitting. The emphasis is on creating experimental samples, rather than a finished piece. Free, but donations for materials would be very welcome! I am an artist and sculptor. My artwork subverts the nurturing associations of textiles to explore feminist issues.